It’s the best feeling ever when an item of clothing fits you perfectly. When the length is just right and your clothing hugs you in all the right places, getting dressed is a breeze. Unfortunately, it’s completely unrealistic to assume that all clothes can fit us that perfectly straight off the rack. That’s why here at Team LC, we’re big fans of a great tailor. 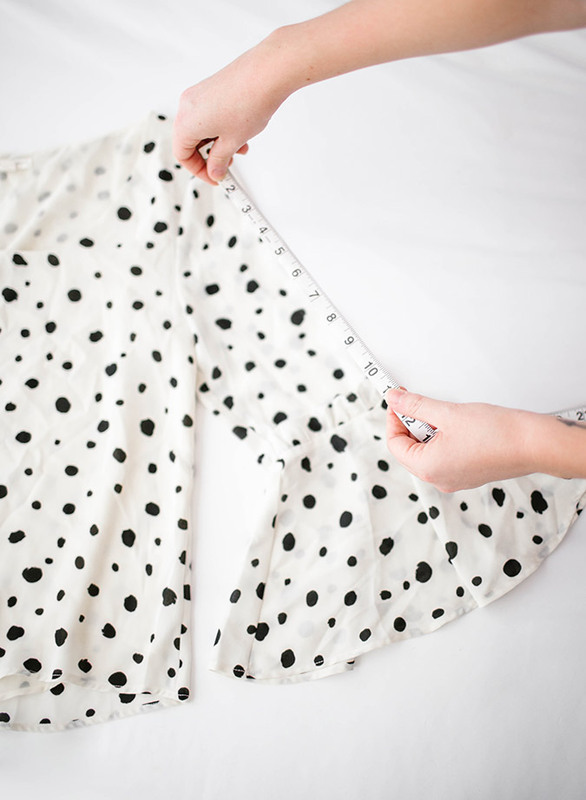 A good tailor can turn a piece of clothing from so-so to amazing, and the transformation will help you feel super confident! Never had an item tailored before, or just need a refresher on how to make the most of your tailoring experience? There are a lot of questions you may have about the tailoring process. What should you get tailored? How much should you expect to pay? Here, we’re answering all of your questions. Find a tailor you trust. Since you’re trusting a tailor with your beloved clothing, it’s important that you trust him or her to do a good job. To find one, ask your friends or trusted co-workers and acquaintances for recommendations. Before you commit to a new tailor, read reviews, check out their website and ask a lot of questions. If an item is poorly tailored or ruined, there’s no going back. Before you go in, make sure you have a clear vision about what you hope to gain from the experience. Decide if what you need is hemming, taking in at the waist, adding a lace border, or something else entirely. Even the best tailor in the world can’t read your min. First things first: When heading to the tailor, make sure you are wearing clothes that you can comfortably change out of. The tailor will want you to try the item on to pin and tuck it, so prepare to do so. Additionally, be prepared for a potentially hefty price tag. A good tailoring job isn’t cheap, but it’s well worth it! Tailoring is more of an investment than anything else, as it will allow you to get more wear out of your clothing for years to come. As great as it would be, it’s not practical to tailor everything you own. Tailor only the pieces that will stand the test of time—avoid spending the money to tailor anything low-quality or overly trendy. Tailor the items that you’ll wear often and for a long time. Classic work trousers, great blazers and go-to dresses are perfect items to tailor, and the investment in these pieces will be worth it. Perfection can’t be rushed, so be sure to take your item to the tailor with plenty of time to spare before you need it worn. If you’re not sure how much time your tailor will need to complete your project, don’t be afraid to call ahead! When deciding if something should get hemmed, try on the shoes you’re most likely to wear with the item. If you’re choosing whether or not to hem a pair of jeans, try them on with your preferred footwear. Always wear heels with your denim? Put on a pair to decide how to hem. It’s a major bummer to put on a pair of heels with your jeans and then realize they’ve been hemmed too short to wear together! Learn to hem your own jeans. Not in the budget for you to take your clothing to a tailor? That’s okay too. If you can’t afford tailoring (or if you just want to test-drive a length before committing to it), try this trick to hem your jeans yourself. Put your jeans on, then use use a tape measure to find your desired length. Find the number of inches you want to lose, then divide that number by two. Take the jeans off and cuff them in one fold. The length of the fold should be half the number of inches you want to lose. Directly below the original hem, stitch around the fold. Stay as close to the line of the original hem as possible. Flip the fold inside the jeans and iron them down. Getting an item tailored can be an awesome way to make a piece of clothing fit you perfectly. A good tailor can work some serious magic, so it’s great to know how to use their talents. Do you get items tailored frequently? Tell us about your own tailoring experiences! We’d love to hear your at-home tailoring tips in the comments!